Any one of the finalists would have deserved to win, but many of us were rooting for Parfum d’Empire, as a truly independent brand and one of the few headed by a perfumer, its fearless, physical, baroque style deserved to be saluted. When Marc-Antoine Corticchiato was called up to collect his Fifi, I just about let out a whoop (but it wasn’t that sort of gala – apart from the very vocal L’Oréal tables). In music, “furioso” means “to be played rapidly and with passion”. Based on lentiscus, a Mediterranean shrub whose olfactory range spans from ivy to earthy via hay, moss, pepper, liquorice and leather, Corsica Furiosa celebrates the rites of spring on the Island of Beauty with an exhilarating blast of green. “Succus” is an obsolete medical term designating the expressed juice of a plant. Part of Liquides Imaginaires’ new trilogy “Les Eaux arborantes”, a tribute to trees, Succus smells like a hallucinogenic vegetal potion served by an Amazonia shaman. Sharp, metallic, sappy, peppery, smoky, this compelling weirdo’s effect is quasi-synesthetic – you’ll see iridescent butterflies, day-glo birds, psychedelic fruit and carnivorous (or carnivalesque?) flowers. The name is an oxymoron. 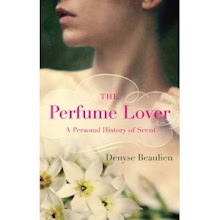 And so, of course, is the olfactory effect: a cologne that tattoos itself on skin rather than evaporating within an hour. 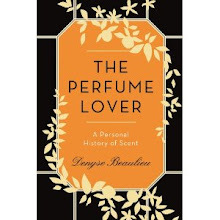 But the most fascinating balancing act of Ropion/Malle’s new opus is the way it constantly teeters on the brink of functional perfumery without ever toppling over into it, its clean neroli and white musks structure gloriously messed up by narcissus absolute. Some brand has to nab this jewel. A tender, poetic interpretation of the late-winter flower, this very limited-edition scent is based on Hérault’s notes as a young perfumer discovering the hills of the Massif du Tanneron near Grasse when mimosa trees are in bloom. Though inspired by a visit to the Korean island of Jeju, “the island of tea” somehow summons images for the “Pastoral Symphony” sequence of Disney’s Fantasia -- the one where a family of winged horses gambol in a pastel sky and seascape… Like Ninfeo Mio, L’Ile au thé blends notes actually found in the setting: mandarin blossom, osmanthus, and, obviously, tea – a natural match for osmanthus which features a tea facet. Another island, off the coast of Brazil… Neither Mémo’s owner Clara Molloy nor the perfumer Aliénor Massenet set foot on it, but the idea of a “Honey Island” proved irresistibly inspiring. Honey is a note many perfumers are exploring right now – it works well with florals, is gourmand without smelling of candy, and provides animalic dimensions without being ripped off a furry critter’s bottom. Ilha do Mel derives its honeyed effects from broom and orange blossom absolute, drenching its core jasmine-gardénia accord with golden nectar. Alberto Morillas’ masterful (and discontinued) Essence strayed too far from For Her’s olfactory codes. Not so Narciso, which picks up the brand’s signature woody musk accord – swapping For Her’s patchouli for vetiver and adding a milky, stylized gardenia. A lovely, luminescent cosmetic aura – if angels have a toiletries range, that’s what it must smell like. P.S. For those who’ve been wondering why I’ve gone AWOL, well, there’s nothing the body resents like being knocked unconscious and cut open… Nothing serious, and I’m on the mend, but I’ve cut myself all the slack I could afford while still meeting my professional deadlines (because bodies also resent not eating). 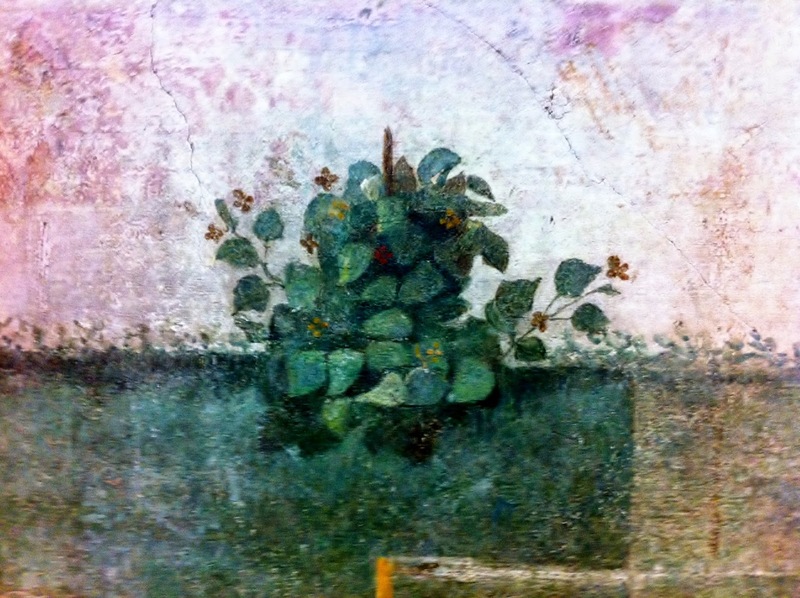 The illustration is a picture I took of the Villa Livia frescoes at the Palazzo Massimo museum of Roman Antiquities.